My name is Scott Koenig. 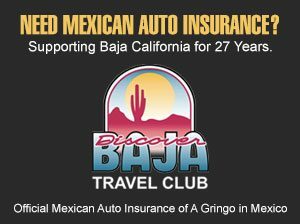 I write about food and culture in Mexico, with a focus on the state of Baja California — located just twenty minutes from our home in San Diego across the Mexico-United States border. I’m a big fan of your music, your artistic vision, your conviction, and the thoughtful, no-nonsense public statements you make in regard to social-political issues. When I read last week that you would consider playing the Mexico-US border during your Us and Them tour, my initial instinct was purely selfish – I hope he plays here! We were front and center for your last two trips through Southern California, and wouldn’t miss a show denouncing Mr. Trump’s wall while celebrating the unique friendship many in the US enjoy with our Mexican neighbors. Upon further reflection, I couldn’t think of a more perfect place for you to stage your concert than here, at the Mexico-United States border in the San Diego-Tijuana Mega Region. I would like to be the first, perhaps, to extend this invitation to you Mr. Waters. Should Messrs. Mason and Gilmour decide to bring drums and guitar, all the merrier. They would also be warmly welcomed here. Part of the border between San Diego and Tijuana. A study of contrasts and similarities. Photo: Wikipedia Commons. Having followed your passions and statements, I really don’t believe it’s a question of “If” you’ll do the show. Reports abound warning of ICE raids that will begin to round up, deport, or imprison undocumented immigrants. These sweeps may also threaten those who are here on perfectly legal grounds, but are mired in the process, cost, and paperwork needed to finalize the naturalization process. An American friend’s wife, technically legal, is in this situation. Their two young children live in fear each day that “army men” will break down their door and take their mother away. The “clear path to citizenship” that even George W. Bush supported has begun to blur. Secondly, Mr. Trump is, if nothing else, a successful builder. Early contracts have already been issued to begin construction of the new wall as soon as April. Given that Mexican immigration into the United States is at “net negative” – that is, more Mexicans are returning to Mexico than entering the US – I can’t think of a bigger waste of taxpayer dollars than the construction of this wall. Think of all the good $20B US could do for so many. Watching our bridges literally crumble while our walls rise doesn’t make any sense to me. “When” isn’t really a question either. Given Mr. Trump’s current problems with the media, there’s a possibility that we may never hear about the human tragedies that occur once his treaded wheels are set in motion. Or after interment prisons are built around our borders — a boon to our unfortunate yet ravenous prison industrial complex. The time is definitely now. That leaves two questions. “How”, in regard to the logistics involved in sidetracking a massive traveling show to a venue or open area near the Mexico-United States border. Though I imagine your team has the logistical wherewithal in regard to production and could establish a relationship with appropriate governing entities. If you could do it in post-separation Berlin, you can do it anywhere. 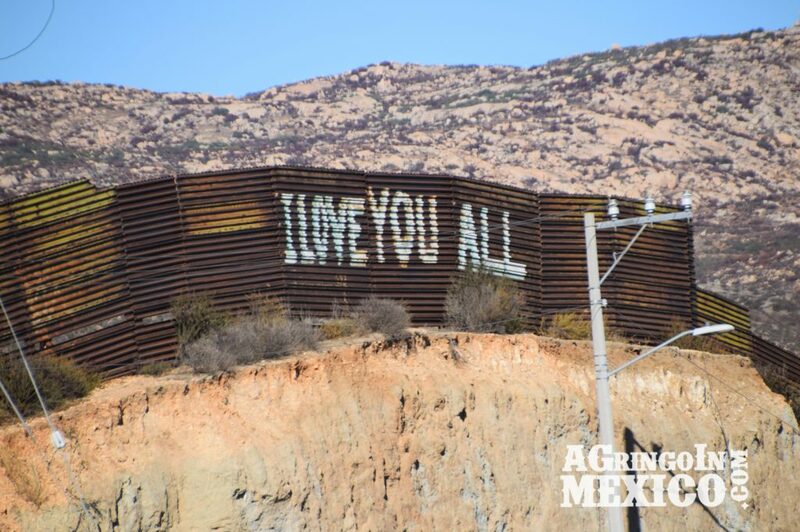 A section of the border wall between San Diego and Tecate, Baja California. 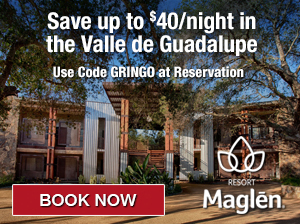 That leaves only “Where” – and I believe that the San Diego-Tijuana Mega Region is an ideal spot for several reasons. In Southern California, we think of the wall and our Mexican neighbors differently than many in the US — those geographically removed from the reality of immigration and the border. To most of us, the Mexican people are not “Them” so much as an integral part of “Us”. They are our friends, our families, and our neighbors. The stereotype holds up of the hardworking Mexican laborer of little or no documentation, many of whom work in our yards, in our commercial kitchens, and on our construction sites. Doing those jobs that most Americans refuse to do. But there are also “split families” from Mexico, those that have immediate members living legally on either side of the border who enjoy freedom of passage to visit during holidays, celebrate birthdays, or just to share a home cooked meal. There are strong cultural ties between San Diego and Tijuana. Our chefs visit each other’s kitchens regularly, to comingle cultures, share recipes, and host events attended by gourmands from both sides of the border, eager to share a table. It’s not unusual to see a Tijuana muralist’s work in San Diego, or a San Diego artist displaying in a Tijuana gallery. We go to Tijuana to enjoy a Xolos football match, and many come from Tijuana for the day to attend a San Diego Padre’s baseball game. 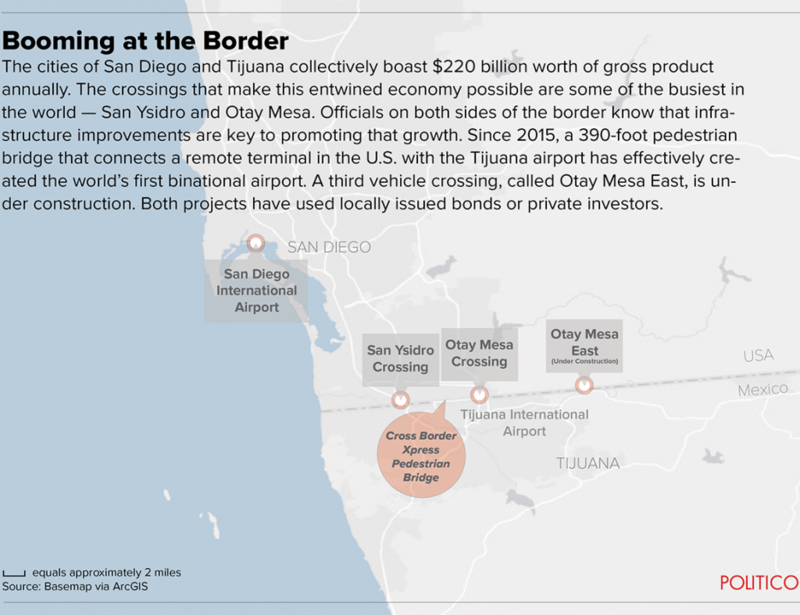 Our two cities earned the “Mega Region” title due to the way San Diego and Tijuana began doing business with each other after the inception of NAFTA. Together, our region of a combined 5,000,000 people creates the largest bi-national business nexus at the Mexico-US border and billions of dollars cross each way every year. There’s nowhere else along the 2,000-mile border where Mexico and the US share knowledge and skills so well. The San Diego-Tijuana Mega Region. The Trump “America Only” manufacturing policies are sure to damage, if not completely dismantle our mutually beneficial trade relationship. Tougher border policies threaten to make it more difficult for us to exchange ideas, art, and recipes. And a massive, militarized crack down on immigration only serves to instill fear in a sizable part of our diverse population. Our region will feel the effects of the physical and psychological walls being built between our social, cultural, and entrepreneurial relationships, ultimately to the benefit of no one. Given our location and large population, a Roger Waters concert is guaranteed to sell out and be well attended by concertgoers from both sides of the border. Perhaps the concert could be a daylong event with both San Diego and Tijuana bands playing on smaller stages? You might also consider having tents and kiosks where attendees can learn more about organizations that are resisting destructive policies or assisting those affected by them. You could make a donation, after expenses, to the ones that are and will truly make a difference. Your influence and message is needed now, more than ever, Mr. Waters. And would go a long way in helping so many. And on my part, I think I could persuade a few of our region’s best chefs, winemakers, and craft brewers to provide their amazing food and beverage for the day. And put your management in touch with regional promoters and other potential partners and contacts. 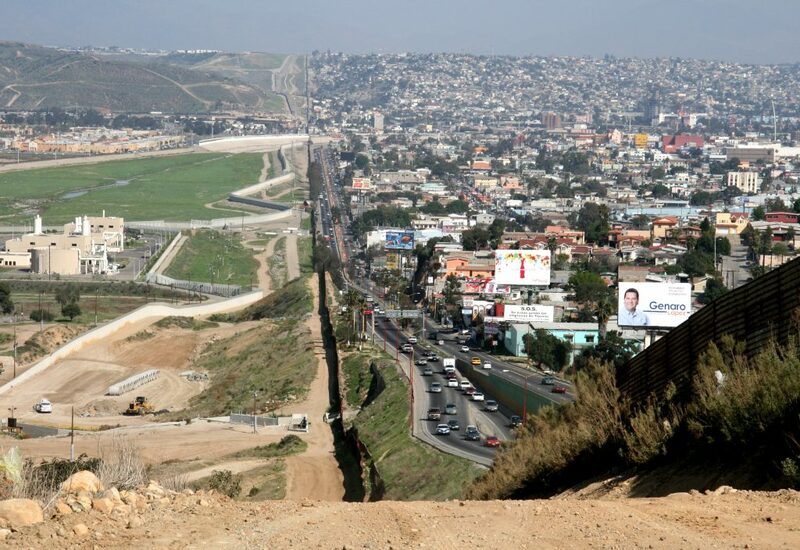 The border fence between San Diego and Tijuana literally disappears into the Pacific Ocean. On the US side abutting the fence is “Friendship Park” — built by the city of San Diego to commemorate our friendship with our southern neighbors. Several times a year, one of the two fences at the park is opened so separated families can visit each other for an afternoon. They talk, hold hands through the fence, and just enjoy being together. On the Mexican side, an artist has painted part of the fence to look like the sky and sea behind it, as if the barrier doesn’t exist for 20 feet of width. I believe that bringing your music and your message to the San Diego-Tijuana region, Mr. Waters, would provide a similar perspective. And for one day, the wall, the fence, and the manufactured divisions between us would surely disappear. Well, done Gringo, well done! There was once a wall in Berlin. Trump go to hell !